For as long as I can remember, my old man has taken every chance he gets to tour breweries and brew pubs. When I was younger, this was one of those things that my sister and I joked about because for us, it was the farthest thing from fun. The food, however, was usually decent so we put up with it. 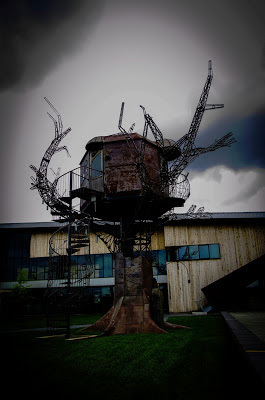 Some time ago, we toured the Dogfish Head brewery in southern Delaware. My first impressions were wildly different than any other tour I have been on, and there are too many to remember. A few days ago, I had the opportunity to take the tour again, and I was no less impressed. The first sight to greet you is a giant steampunk treehouse. The colossus stands about four stories tall and is a sight to see on its own. For safety reasons, it is generally not open to the public. I happened to be on my way through Delaware at the time, and caught a tour about a minute after it started. Lo and behold, my guide, Dwayne, was the same man as I had last time. What is more, he remembered me! 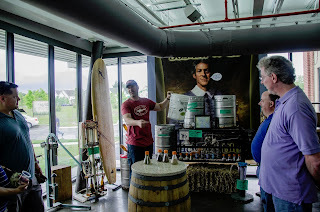 I was seriously impressed by this, and it stands as a testament to the passion the brewery's employees have for their jobs and the culture founder Sam Calagione sets for the company. 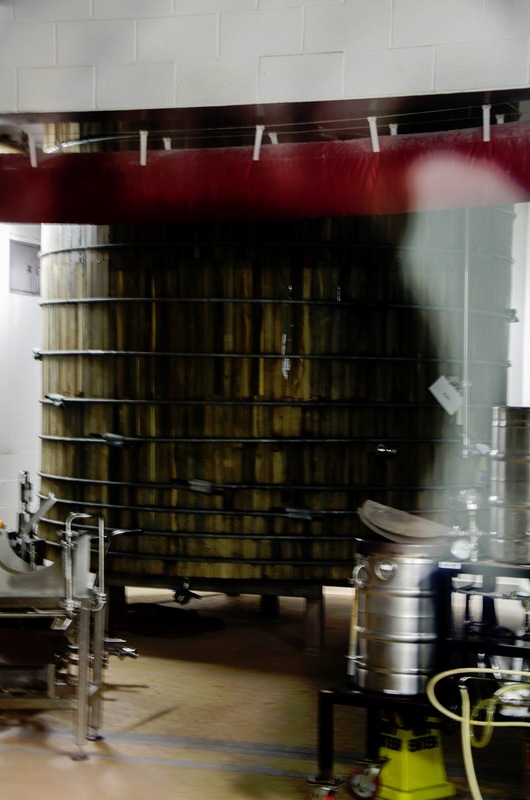 The history of Dogfish Head Brewery is rich and interesting, starting from a basement endeavour using vibrating football games to hop the beer to a 75,000 annual barrel production. I will not go into too many of the details here, as the tour would to it far more justice. Since my previous visit, the brewery has undertaken major expansion. 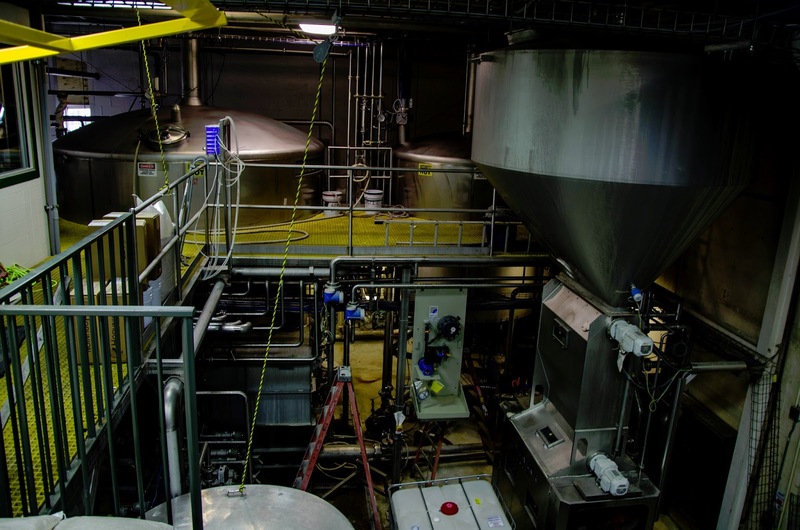 Currently, the production line is getting an overhaul to support increased demand for their brews. 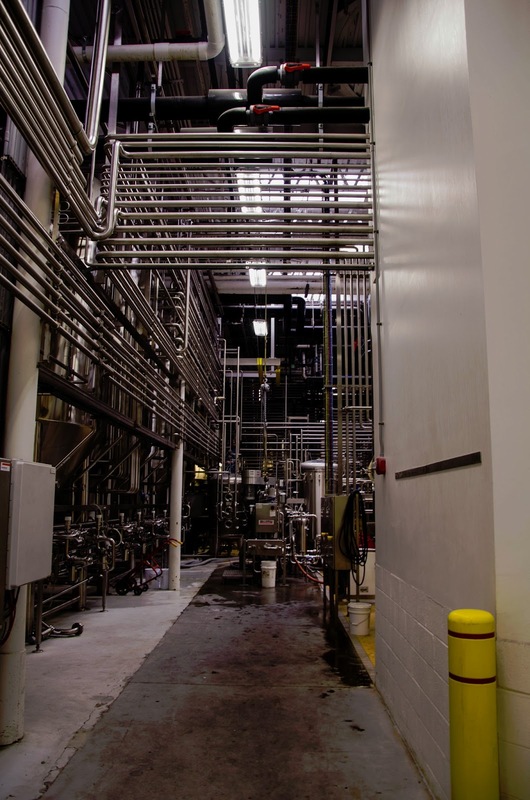 In the coming years, the tour will be mostly conducted inside the brewery rather than starting in the lobby, but the construction is still underway. Deeper into the facility, a maze of pipes carry air, water, sanitizing and cleaning fluids, and CO2. One of the things that really caught my attention was the use of wooden barrels. Dogfish Head has the largest wooden brewing barrels of anywhere in the country (post prohibition). The largest, made of the incredibly dense wood Palo Santo measures at 10,000 gallons. The Palo Santo beer brewed inside is just as dense and just as dark, not to mention a hefty 12%. 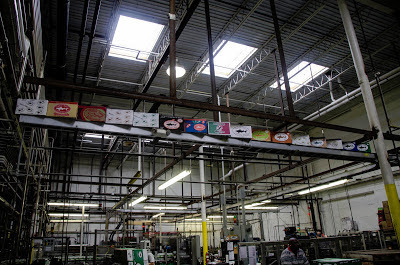 The bottling line is almost as impressive as the complex engineering yet loses none of the Dogfish Head persona. Most of the major machines in the factory have a name, some more vulgar than others. Because Dogfish is a craft brewery, they do not have the multiple production lines like other larger corporations. Instead, they have the single bottling line and another for kegs. At the end of the tour, we exchanged the remainder of the four coaster cutout sharks for samples, being Midas Touch, Sha'tea, Black and Blue, and Palo Santo. If there are any locals reading, the samples differ throughout the week. I am obviously no tour guide, but having been on both sides of the tour (over and under 21), I walked out happy both times and inspired to one day try brewing myself. Dogfish Head has a quirky, charming character and distinct personality that is rare amongst businesses, and the employees are one of a kind. If you are near the area or passing through or on the other side of the country and want to take a trip, it is well worth the travel.